9. 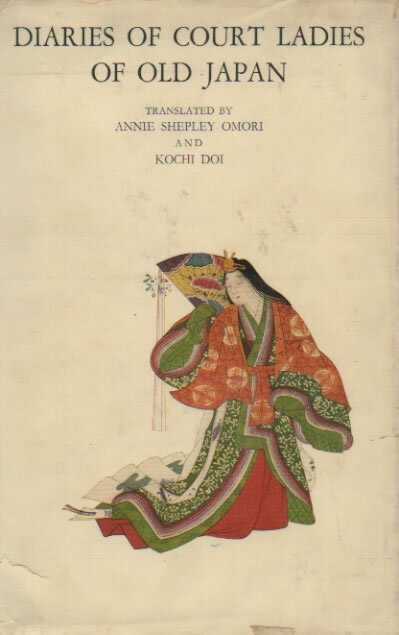 Introduction to Diaries of Court Ladies of Old Japan, by Sugawara Takasue no Musume, Murasaki Shikibu (Ap), and Izumi Shikibu, translated by Annie Shepley Omori and Kôchi Doi (Ap). Boston: Houghton Mifflin, 1920. Reprint, with corrections, Tokyo: Kenkyusha, 1961. By 1920 Lowell was enough of an ‘expert’ on Japan, and popular enough with the reading public, that she was asked to introduce this translation of Sarashina nikki, Murasaki Shikibu nikki, and Izumi Shikibu nikki. Her tracing of the historical backgrounds of Heian literature and the biographical details of the diarists is remarkably knowledgeable. Minor errors of fact or interpretation arise mainly from her acceptance of the works as primarily autobiographical instead of literary. Heian period ‘taste’, she contends, achieved a ‘cultivation’ that ‘has never been surpassed by any people at any time’. Includes reference to Ki no Tsurayuki (Ap), the Kojiki (Ap), the Manyôshû (Ap), Sei Shônagon (Ap), the Taira and the Minamoto (see BK21a), and the development of tanka and hokku. Omori was a friend of Lowell and occasional visitor at Sevenels, Doi a respected Japanese scholar of English literature. See also BL22.